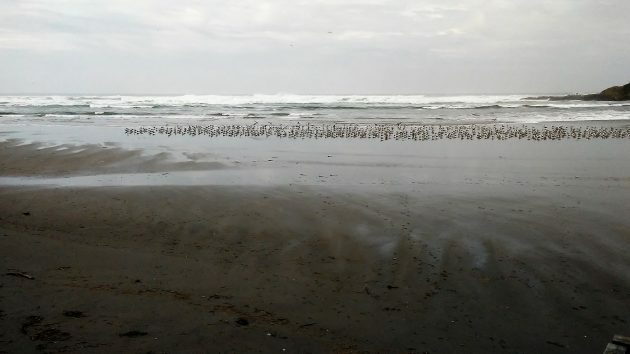 Stepping out on the beach near the mouth of the Yachats River on Friday, I was astonished at the number of seagulls gathered there in two gigantic flocks. And I was encouraged at the slow — nay, imperceptible — pace of the rise in the sea level we hear so much about. In 2015, scientists published studies showing an alarming decline in the number of seabirds, gulls included, on the Pacific coast. They blamed a decline in certain small fish species and other creatures that provide the diet for many birds that spend much of their time at sea. Maybe that’s what drives gulls inland, to the point where lately I’ve seen a few scrounging for scraps in the parking lots of Albany stores. So, coming across a whole bunch of gulls on the beach, where they belong, seems to me to be a good sign. Evidently they were finding something to eat in the shallows where the surf petered out. Another notable sight was that the beach had entirely covered up the rocky outcroppings normally visible there. Sand on the coast migrates, I think we’ve been told. It goes away for a season and then, in due course, it comes back. And it was nice to see, once again, that the pattern persists. No rocky outcroppings sticking out of the sand, but they’re under there somewhere. Then there’s the general level of the sea. In March, stories in the Washington Post and elsewhere reported on a new study — based on models — projecting that the oceans would rise much faster than previously thought because of man-made climate change. Apparently they found that melting in Antarctica would have a bigger effect than assumed before. So at the end of the century cities like Miami and New York, not to mention New Orleans, would be pretty much doomed. An indication of a threat possibly more immediate than a gradual rise in the level of the sea. Thank you for your science-driven insight into global warming, sea level rise and sea gull habitat. Continued scientific study such as that which you’ve provided will go a long way in debunking Climate Change advocates, radicals who rely on satellite imagery and longitudinal studies to back-up their claims. Nice gulls! This seems akin to the flat earthers Thales and Leucippus. How wrong they were. 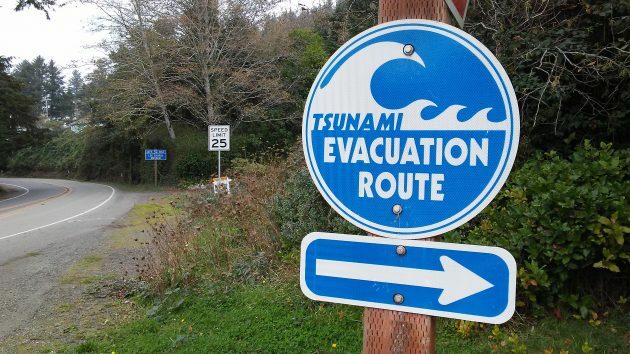 Plenty of time for these coastal property owners to sell however.